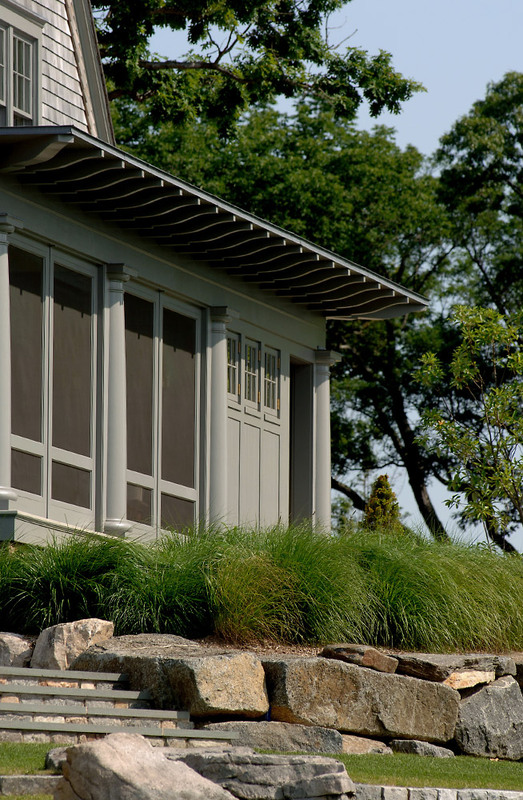 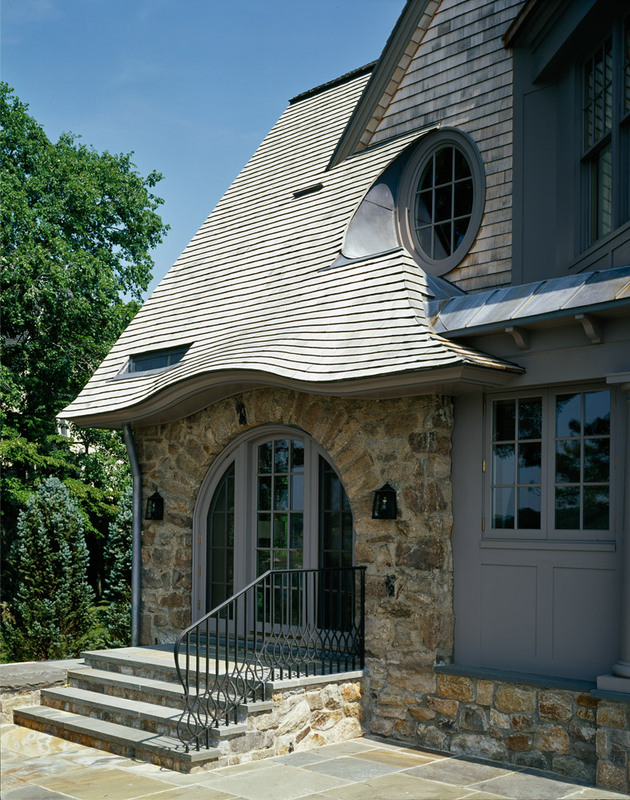 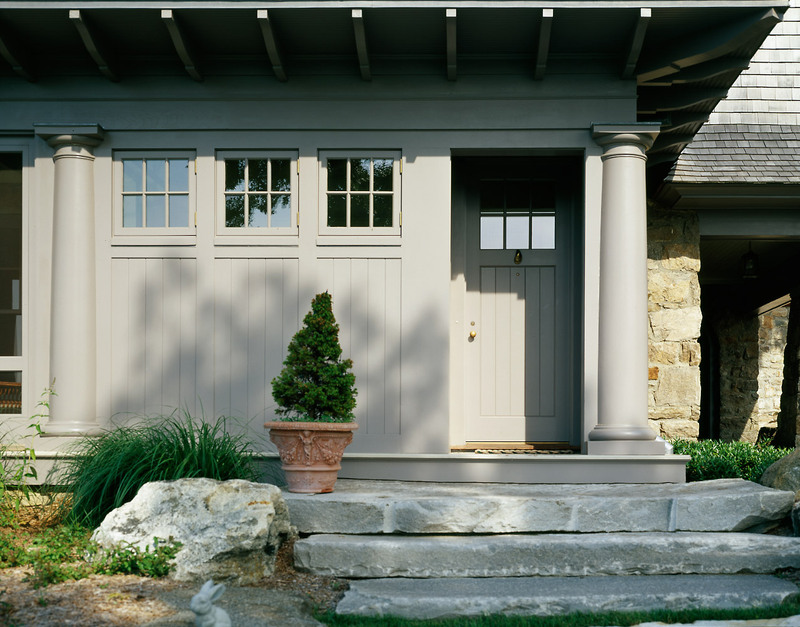 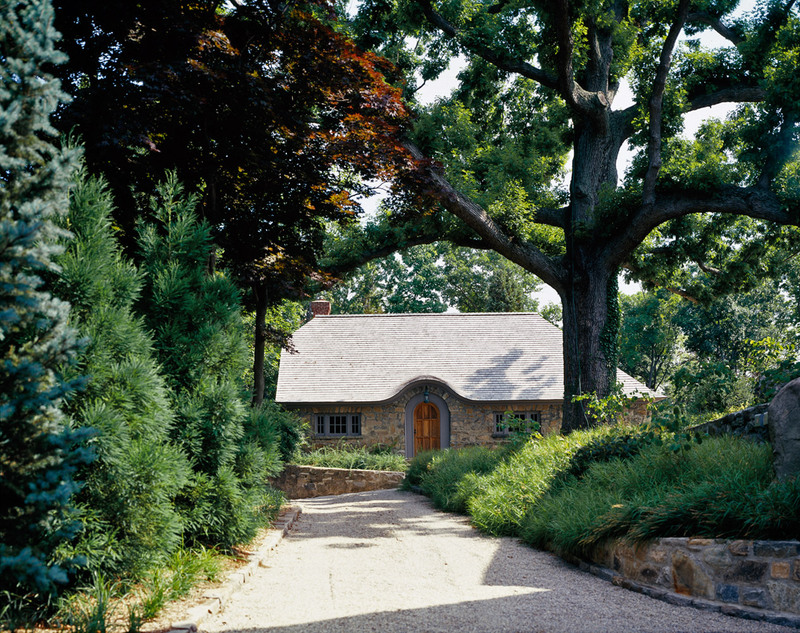 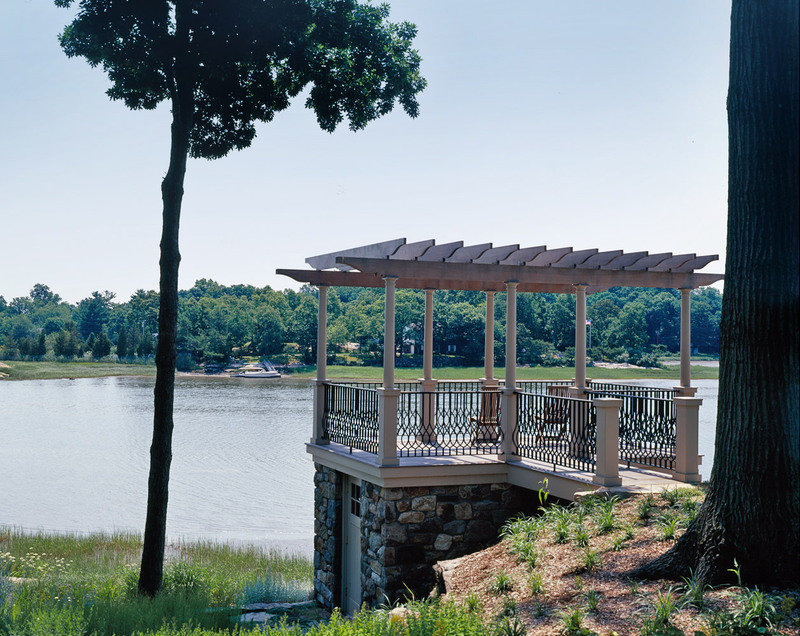 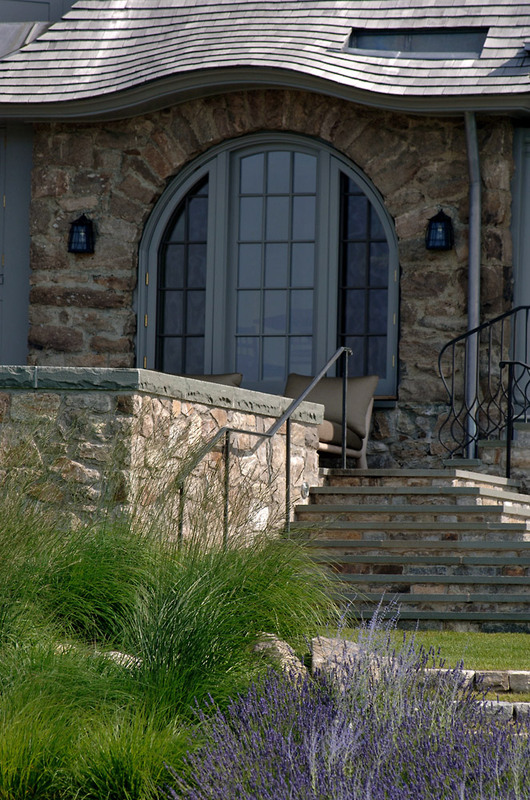 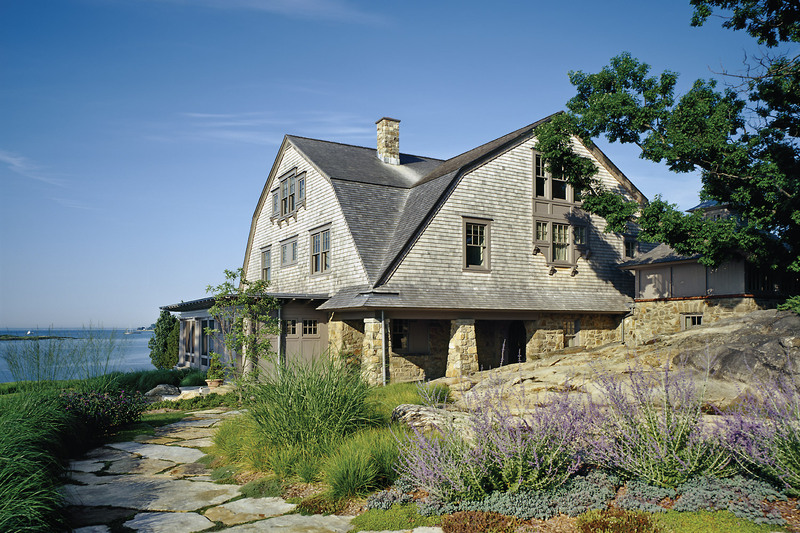 The rocky outcroppings predominant along the waterfront of Darien’s prized Tokeneke residential community made a stone base the ideal material to seamlessly weave this new 6,435 square-foot house into its natural setting. 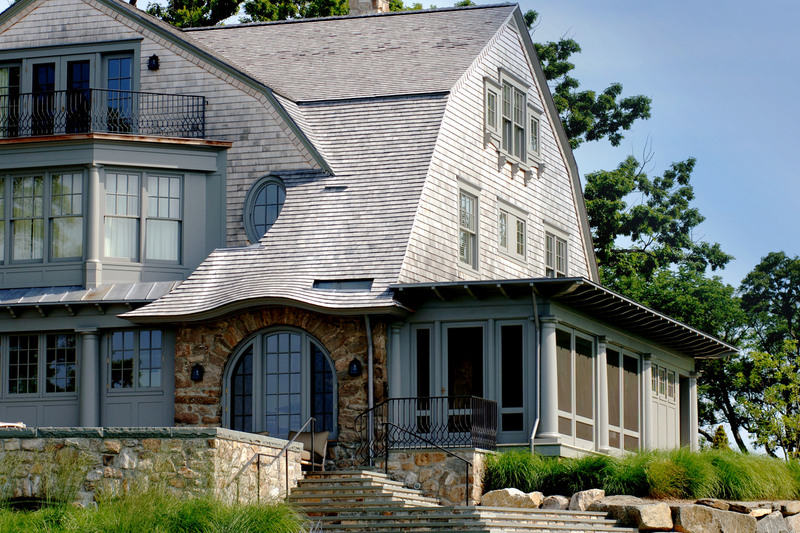 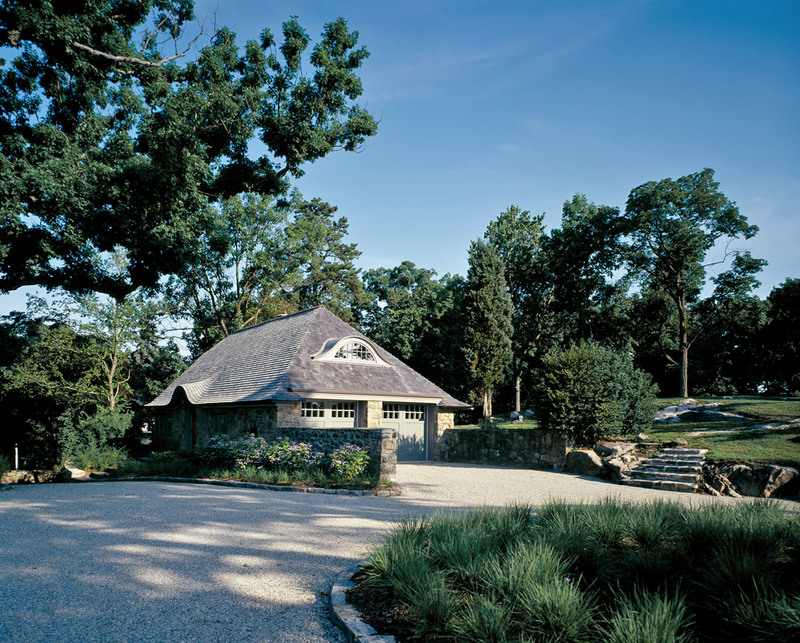 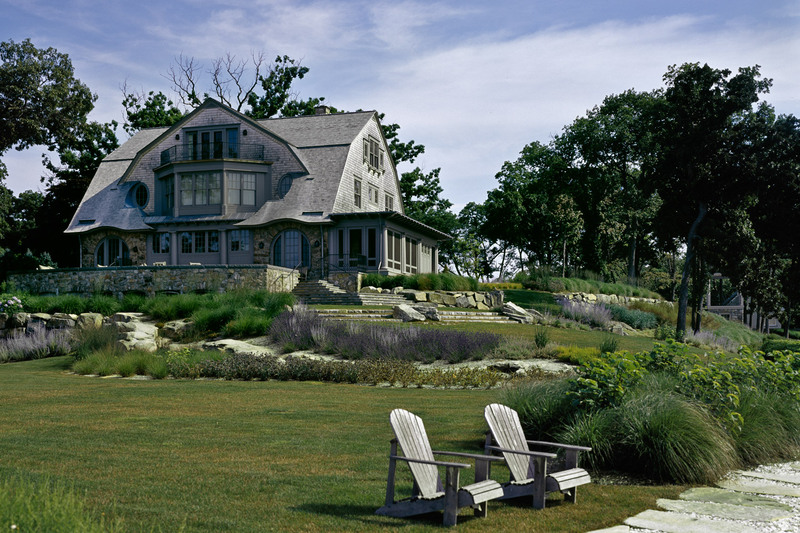 Also appropriate for this waterfront site is its gambrel roof, a classic Shingle Style feature prevalent along the New England shore. 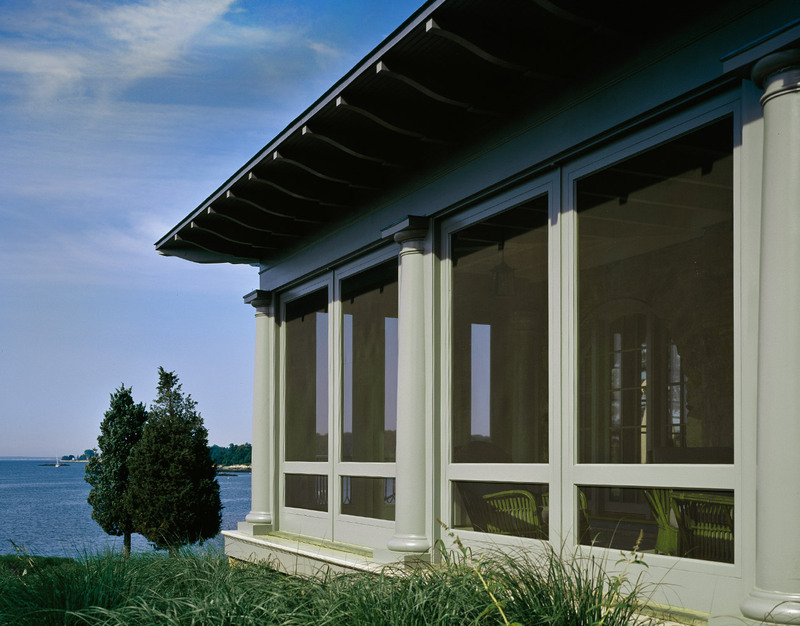 Interior public spaces enhance the water views while a double-height library and gallery showcase the homeowner’s extensive art collection.